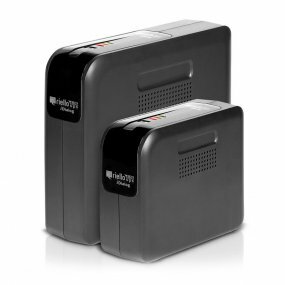 With prices from £44.00 + VAT the iDialog range is the ideal UPS for the protection of PCs in the home and in office environments and also peripheral devices. iDialog is an easy-to-install, economic solution. With low dimensions and compact shape, iDialog can be placed on any part of a desk or anywhere in the home. Noise-free running, iDialog is also suitable for protecting your non-professional, digital equipment items such as Home Cinema, CD Writers, DVD, Satellite and Digital Terrestrial receivers, Modems and Routers.